EBC Brakes™ produces a large range of premium replacement brake discs to a high standard ensuring quality and safety of the parts. All suppliers of the castings used for these brake discs are ISO approved and are inspected and approved by the German TÜV authorities. The EBC Brakes™ premium replacement brake discs are made from G3000 specification cast iron making them a perfect OE quality replacement disc for your vehicle. 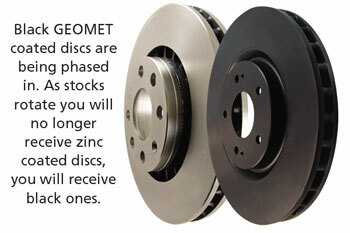 EBC Brakes™ premium replacement brake discs are all checked for runout and dimension checked including analysis of elements, surface finish and hardness testing on every batch. These precision CNC machined discs are cast to a material strength of 150 N/m2 with less than 20 HB surface hardness variation.